In addition to our Tree Trimming, Pruning, Planting, Growth, Health Management and Tree Removal services in Minnesota, we can appreciate a warm, cozy fire on a cold and blustery Minneapolis, MN night. There is nothing quite like a crackling fire in the fireplace to help you enjoy the cold winter months. Remember to always buy properly seasoned firewood that is local and disease-free. Burning green wood is not only less efficient it can be a fire hazard. A Tree Service Inc. is an expert tree service company with a Licensed Arborists that offers Seasoned Firewood to the Minneapolis, MN area. Some Minnesota firewood companies are reporting a shortage this year. With a low supply it is important that you can trust your source for Properly Seasoned Firewood. You want to avoid unseasoned, green wood for burning in your fireplace, wood stove or fire pit. It is a fire hazard and frustrating to burn. Seasoned Firewood burns more efficiently and produces less smoke. Harvested Wood must be Seasoned for 3 months to 1 year, depending on the conditions. Green Wood is too wet to light easily. It tends to smolder and does not produce as much heat. Properly Seasoned Firewood produces less creosote, thus reducing the risk of a chimney fire. Burning Seasoned Firewood can reduce your wood consumption by as much as 25%. A Tree Service Inc. is a trusted source for Properly Seasoned Firewood. We have firewood that is dried, cut, split and ready for burning inside of your fireplace, fire pit or wood stove. Never burn unseasoned, green wood at your Minneapolis, MN home. It raised the risk of a chimney fire and does not burn efficiently. 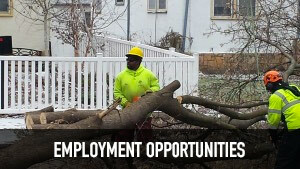 Our Licensed Arborist ensures that firewood that we sell is seasoned and disease free. Call A Tree Service if you are in need of Seasoned Firewood in Minneapolis, MN at 612.724.6045.